Step into the stylish and sinister world of killer7, the cult classic from Grasshopper Manufacture, Ltd., available for the first time in 13 year…. 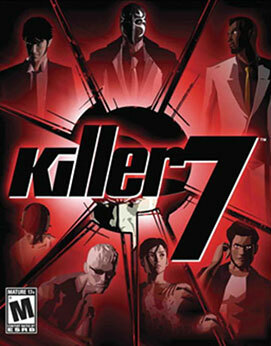 Dive into a dark world of underground assassins in a tale of revenge as Harman Smith, a man who manifests 7 deadly personalities into the real world, known as the killer7. Take control of this distinct murderers’ row as they hunt down the sinister Kun Lan, to stop his plan of world dominance, and end his organization of deadly suicide bombers known as "Heaven Smile." A Sinister Foe – Face off against the "Heaven Smile" organization in a unique combination of first and third-person shooting mechanics.